RNC pulls plug on NBC News debate partnership. Republican National Committee Chairman Reince Priebus speaks at the annual RNC winter meeting Jan. 24, 2014, in Washington, D.C.
On Wednesday, the Republicans on stage at the CNBC debate repeatedly refused to answer questions about their economic proposals that simply don’t add up. 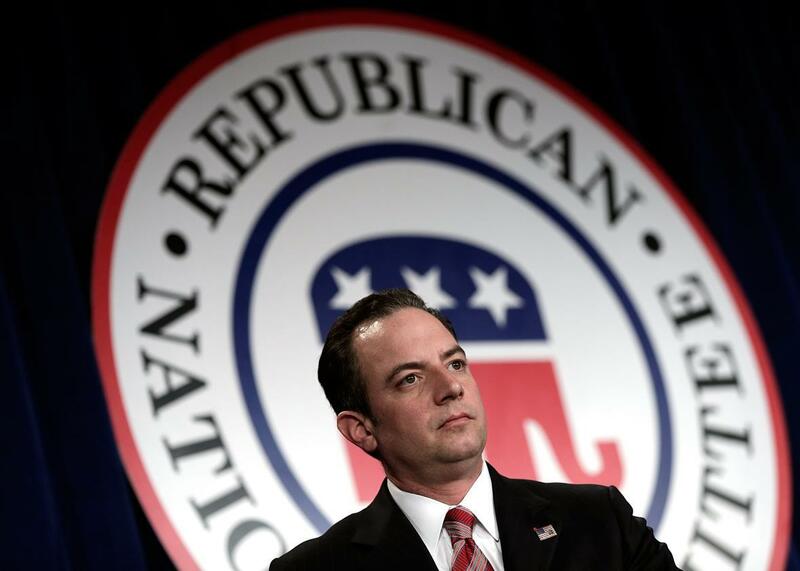 On Friday, the Republican National Committee made it clear it hopes they’ll never have to. This is, to put it nicely, nonsense. When the candidates were pressed on Wednesday to explain their “vision for America’s future,” most simply decided it was more advantageous to use their allotted time to rally their base (and bolster their campaign coffers) with anti-mainstream-media tirades. Yes, the CNBC debate was a hot mess, but any journalistic sins committed by John Harwood and co. were far outweighed by the candidate’s stonewalling. The biggest problem was not what the moderators asked but that they were unprepared for the candidates to deny the very premise of their questions. Exhibit A: Ben Carson flat out lied about his relationship with a shady nutritional company. Exhibit B: Donald Trump denied he ever said something his own website quotes him as saying. Exhibit C: Chris Christie reacted to a question about the possible financial regulation of fantasy football by lamenting they weren’t talking about ISIS—an odd response given it came after the participants were already complaining they weren’t being asked enough about the economy and finance. I could go on. The February debate in question is still more than three months—and five debates—away, so it’s way too soon to say if the GOP will actually follow through on its threat of barring NBC News—which like CNBC is owned by NBC Universal—from hosting. (Preibus is promising the Houston show will go on no matter what with the help of the National Review, the conservative magazine that was set to co-host with NBC.) Even if it does, it won’t matter in the grand scheme of things as long as the rest of the chosen debate hosts—running the gamut from ABC to Fox—are willing to ask the tough questions. If Preibus really does cut ties with NBC, it wouldn’t be completely unprecedented. Democrats boycotted a Fox News debate back in 2007. But NBC News shouldn’t be mistaken for MSNBC, which is often viewed by the right as Fox News is on the left. Nor should CNBC, which as my colleague Ben Mathis-Lilley pointed out, is a big-business-friendly, conservative-leaning network whose correspondent Rick Santelli literally launched the Tea Party. If Republicans believe they can’t get a fair shake on its stage, I’m not sure how they can justify appearing elsewhere. Preibus’ move, though, isn’t about the future—it’s about the present. The news came less than a day after Politico reported that advisers to at least nine GOP hopefuls were expected to meet this Sunday in Washington, D.C., “to plot how to alter their party’s messy debate process—and how to remove power from the hands of the Republican National Committee,” which some candidates have used as a convenient punching bag to prove their anti-establishment bona fides. Much like the candidates’ CNBC-bashing performance on Wednesday, then, Preibus’ announcement is self-serving, showboating, and ultimately not good for his party.